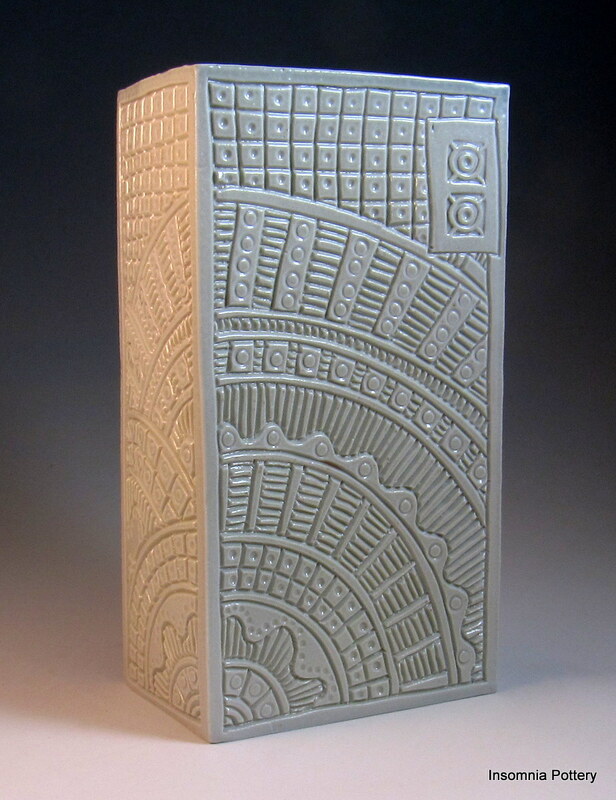 Here are some of the nicest pieces from my March 3, 2013 firing. 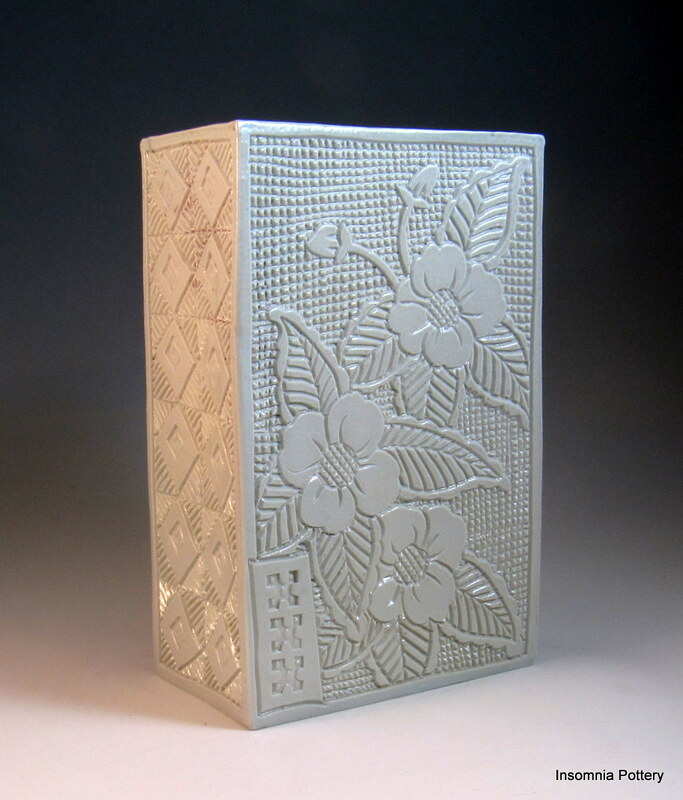 These boxes were handbuilt from Georgies’ Crystal Springs porcelain, and were patterned in the leatherhard state with a small carving tool. They have a rich flambe blue liner glaze. I like to do this kind of geometric patterning on my work… it’s my favorite part of the process, and the porcelain is heavenly to decorate. I like the soft sheen the salt imparts to the clay.